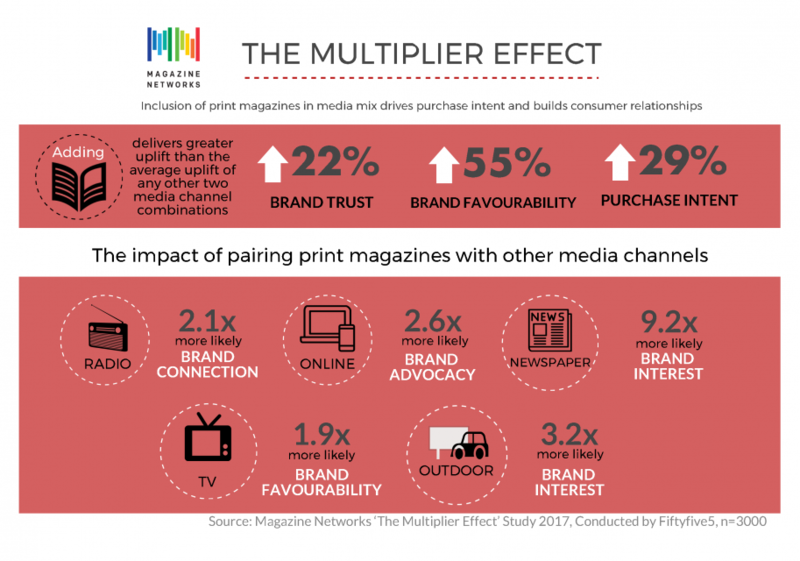 A new study finds the inclusion of print magazines in media mix drives purchase intent. Survey Says: brands in print = more reader trust. 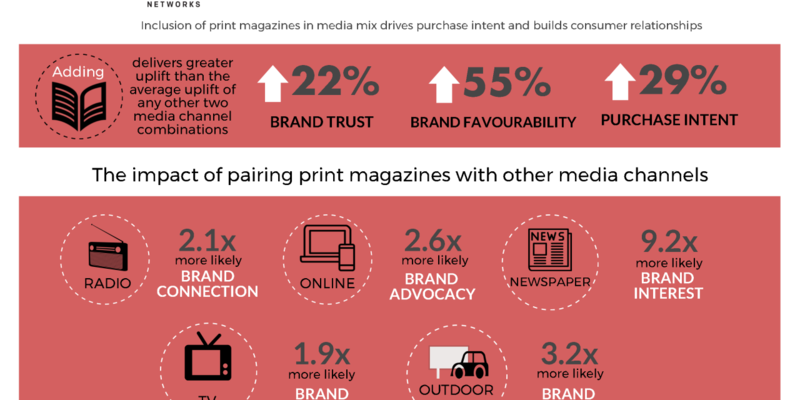 Adding print magazines to any other media channel delivers stronger consumer brand affinity and purchase intent, greater than any other two main media channel combinations. The Multiplier Effect, a new study commissioned by magazine industry body Magazine Networks, has found combining advertising in print magazines with another main media channel has the power to help solve brand challenges such as building relationships with consumers and increasing purchase intent. The ad effectiveness study, conducted by research firm Fiftyfive5, surveyed 3,000 Austrialian consumers online, with the sample split across both magazine and non-magazine readers. The study measured both brand health and ad impact metrics across 24 brands spanning a range of categories including FMCG, automotive, retail, pharmaceutical and furniture/appliances. The brands that included print magazines in their media mix saw a 22% uplift in brand trust, a 55% increase in brand favourability and a 29% lift in purchase intent. In terms of the value of combining magazines with specific channels, the combination of print magazines with out-of-home was found to drive increases in brand interest and purchase intent with people 3.2 times more likely to identify the brand as one they wanted to find out more about and a 43% increase in their likelihood to purchase. Adding magazines to radio helps establish a deeper brand connection with people 2.1 times more likely to see the brand as engaging and interesting. 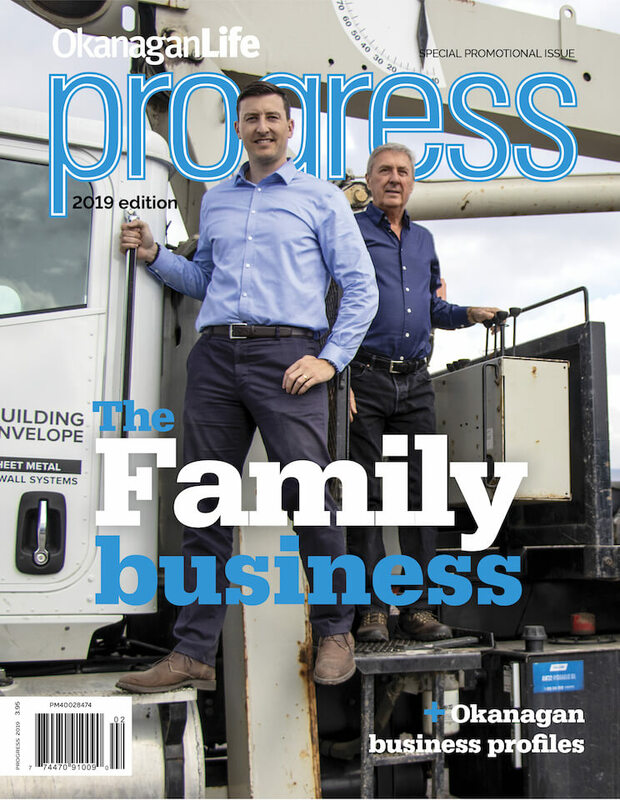 The combination of print magazines and online advertising helps drive a deeper brand relationship and influences brand advocacy with people 2.6 times more likely to recommend the brand to others. Adding print magazines to a TV advertising buy helps increase brand favourability with people 1.9 times more likely to consider a brand as one of their favourites. The findings build on the Magazine Network 2016 Passion Response Study which found magazines to deliver a level of brand trust unparalleled by other channels with 60% of women aged 18-to-35 saying magazines provide them with information they trust on trends, brands and products. 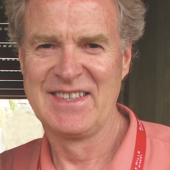 Magazine Networks represents Australian publishers of consumer, cover-priced and nationally distributed magazines.